Editor’s note: Today, 40Tech is pleased to present you with a guest post from Annabelle of Godot Media. Pink seems to be the color on everyone’s minds, with men and women alike choosing fancy and cheap pink e-readers over the usual white, black or silver colored e-readers. Besides features and functionality, aesthetics is an important consideration for buyers of laptops, e-readers and other computing devices. Though not many brands have color options when it comes to e-book readers, there are a few manufacturers like Sony, Bookeen, Cool-er etcetera who do offer cheap e-readers in many colors including pink. For those who want to check reviews and compare deals on ‘pink readers’, here is some information on the different brands that have pink e-readers for sale. Among the most popular electronic book reader brands, Sony has pink e-readers that are slim, light-weight and small enough to fit into your pocket easily. Available in rose-pink and silver color, this e-book reader has an easy to use touch-screen, a glare-free screen that enables hours of stress free reading, 12 built-in dictionaries, abundant memory space and long battery life that can keep you reading for almost 2 weeks with a single charge. You can buy cheap pink e-readers from Bookeen, which is a less known French company offering eBook readers to users around the world. The e-readers offered by this company are available in seven different colors, including pink, black and white. Compatible with Linux operating system, Bookeen e-readers are available in grayscale, with a 5” screen that also enables daylight reading, a USB drive, G-sensor motion detector and a battery that can run for almost 2 weeks after charging it. 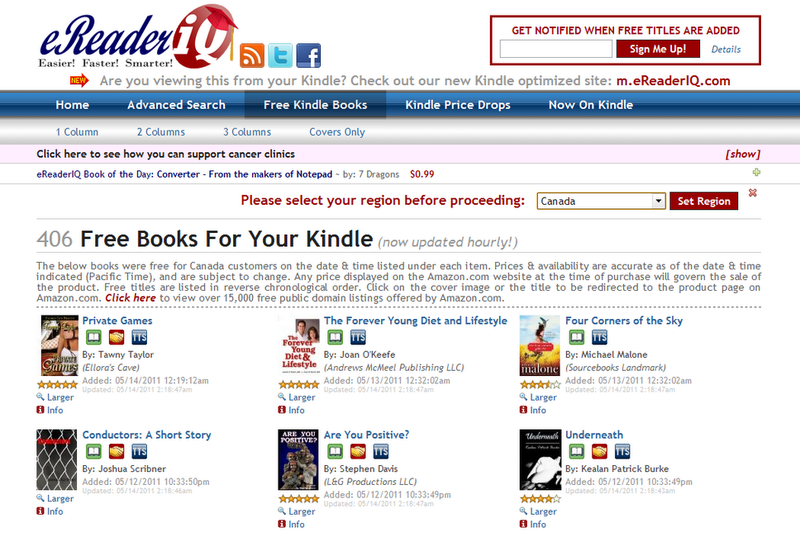 Cool-er is the brand name for an eBook reader by the UK based company called Interead. Marketed as the iPod of the E-reader world, this small, light-weighted pink e-reader is available in eight different shades including hot pink and cool pink. The cool-er is compatible with windows and MAC operating systems, can store up to 4000 eBooks with expandable memory, and supports many formats of electronic books including FB2 and RTF. The added benefit of a cool-er is that you can share e-books with up to five people for free. The Canadian based manufacturer Kobo Inc., may not have an exact pink e-reader computer but offers a closer shade of pink – the porcelain or pearlized lilac. Available only with grayscale display, this e-reader has Wi-Fi connectivity, expandable memory, long battery life and a built-in dictionary. Besides buying cheap pink e-readers from the above mentioned brands, the cheapest way to get a pink e-reader is by converting your existing black, white or silver colored e-reader to pink with the help of e-reader accessories. For the Amazon Kindle that is available mostly in black or graphite white, you can find silicon and leather cases in various shades of pink, while Barnes and Noble offers a ‘grapefruit pink’ silicon frame to make its ‘Nook’ even more attractive. Although the original pink e-reader brands are a bit highly priced in comparison to the white or black models, you can get the best prices on pink e-readers from the many exciting deals and offers that are available in the market. Author bio: Annabelle is a senior technology writer with content writing service firm Godot Media (Twitter Godot Media). She has interests ranging from latest gadgets to following web technologies and trends. She has also ghost written several eBooks as a part of the eBook writing service team at Godot Media. Just over two years ago, I wrote my first post for 40Tech. I had discovered the power of GTD while trying to manage life, new parenthood, and the crazy tech-startup marketing job I was working. I had also become an avid fan of Evernote. The mere idea that I could capture anything, anywhere, and put it in a searchable digital filing cabinet that I could carry in my pocket was mind-blowing for me. Naturally, I spent a large amount of time and effort in marrying together my two new obsessions. They seemed a great fit to me, and they lead to that fateful first post that is still one of the top articles on this blog: GTD in Evernote With Only One Notebook. I say this post was fateful for two reasons: one, it set me on a path of productivity and tech that has, in many ways, defined my current career path; and two, it brought about a tremendous amount of great conversation and connections with people I likely would never have met, otherwise. One of those people was Daniel Gold, lifestyle and productivity blogger, and author of the eBook this post is really about — an eBook that would have made my life a lot easier if it had been around when I first considered implementing GTD in Evernote. Daniel’s book, The Unofficial Guide to Capturing Everything and Getting Things Done in Evernote, isn’t a step-by-step how-to manual. It’s not a mind-bending piece of literature, and it’s not going to cook you breakfast. What it is, wonderfully, is a straightforward, conversational look at why Evernote is a great tool for productivity in general, and how easily it can be used to apply GTD principles effectively. The book never talks down to you, and it never assumes you know too much or too little — it is simply honest and genuine; experienced, but uncomplicated. It doesn’t hurt that it’s a fun and easy read, either. Daniel starts out by giving you a little background on his own experiences in searching for a productivity tool that would change it all for him. This is a conversation that he is very open about on his blog, and one that he has brought to 40Tech through several insightful and helpful comments. He openly admits that he was just as lost as the rest of us, and that it was his search and his failures in discovering or hacking together the perfect productivity system that ultimately led him back to Evernote. Evernote brought him back to basics — back to simplicity and a straight ahead means of getting things done. This eventually led him to the sense of “mind like water” that inspired his eBook. He does a good job of breaking down his GTD implementation in Evernote, giving plenty of examples while keeping things light. As I mentioned earlier in the post, the book is not a GTD instruction manual. It does, however, work well as an introductory guide to a system that has been working out very well for him, and is easy to implement. If I had to pick out a negative — and a review isn’t a review if you don’t — I would say that my only issue is that there are a few rough patches in grammar and a few missed words that might cause you to have to re-read a sentence or two. Even still, the author’s message is always clear, so don’t let the nit-picky things hold you back. Besides, Daniel has stated that his eBook is going to receive quarterly updates — for free — that will include new content and will likely add a few edits in as well. The Unofficial Guide to Capturing Everything and Getting Things Done in Evernote is an easy, informative, and entertaining read of approximately 40 pages. If you are looking for a decent overview of how GTD can be effectively accomplished in Evernote, it’s definitely worth the $5 price tag, especially considering the free updates for life that you get with it. [UPDATE: We now have an affiliate link that you can use to buy the book, which means we get a buck or two from each purchase if you purchase through that link.]. Heads up folks! Great things are happening surrounding two of your favourite apps: Springpad and Evernote. Firstly, Springpad is doing something that has been long-awaited and needed — namely, adding a web clipper that is optimized just for Mobile Safari. They’ve also caught up with Android by finally giving us iPhone and iPad users a Quick Add button for the home screen. More importantly though — and this is no slight to the awesome Springpad, but credit where credit is both due and needed — my friend and one of our most informative and helpful commenters, Daniel Gold, has just released his first eBook [affiliate link]! It’s about Evernote, it’s about GTD in Evernote, it looks awesome — and it’s only $5 bucks! Stay tuned for more next Wednesday night!